INCLUDES PRIMO MID BB KIT! 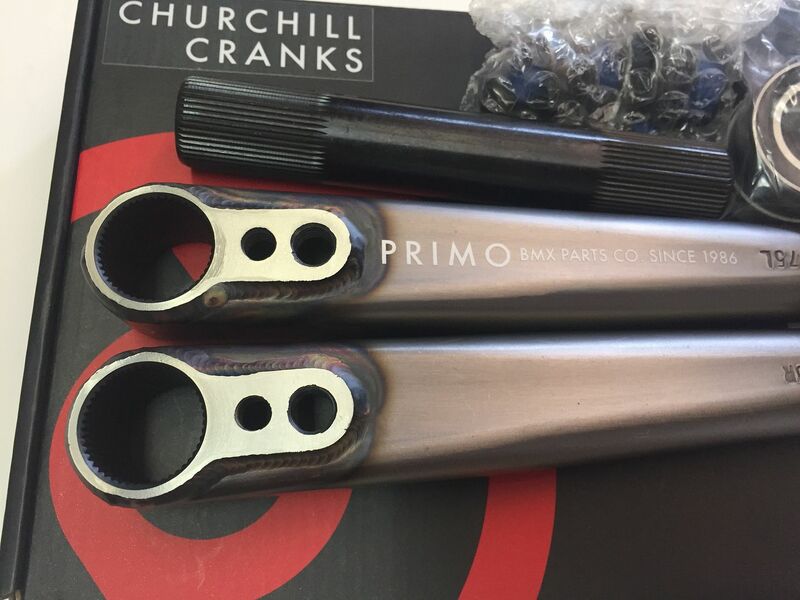 he Primo Stevie cranks are Stevie Churchill's signature 3-pc cranks made from 4130 heat-treated chromoly with wrap welded pedal bosses, 1-pc spindle/sprocket bosses and a 24mm hollow chromoly spindle that further increases strength and rigidity without adding weight. 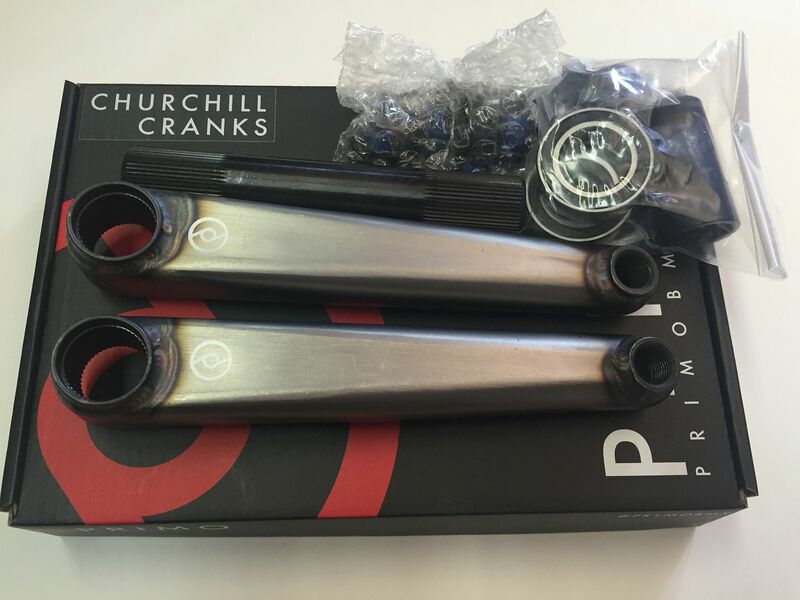 The Stevie cranks are RHD/LHD compatible and include a 24mm Mid bottom bracket kit with internal spacer and multiple crank arm spacers to dial in chain alignment. Compatible with 15/16" (24mm) sprockets only. 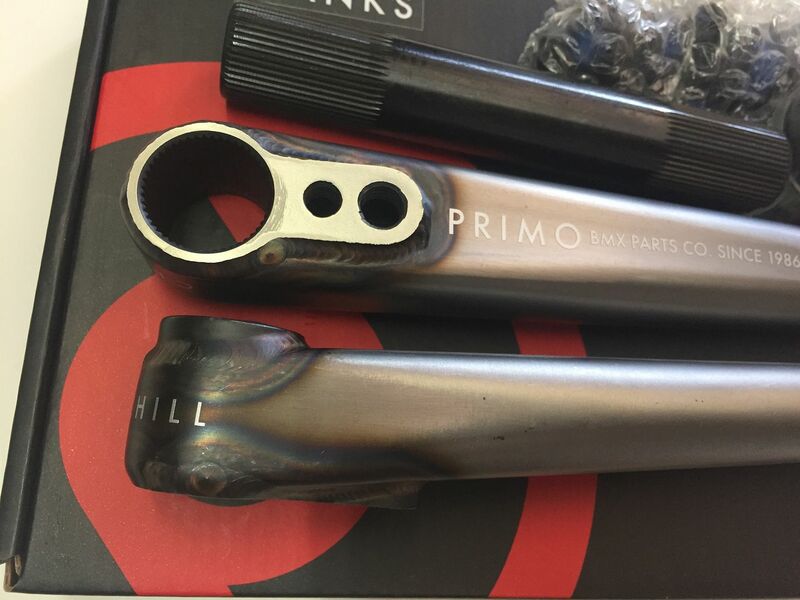 Note: Includes arms, spindle, bolts and bottom bracket.